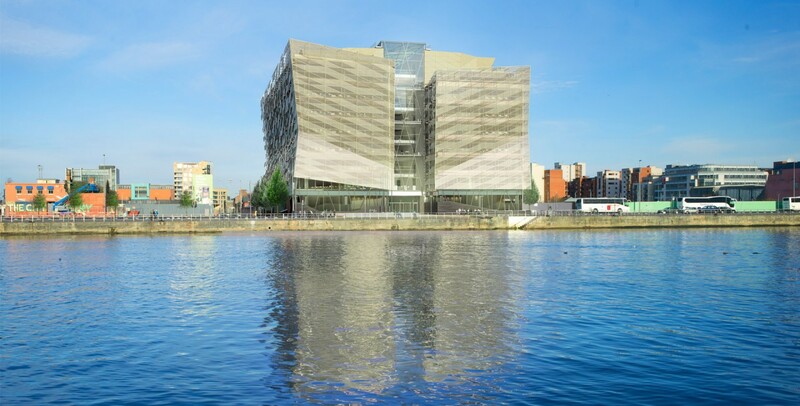 As a project of renewal and connectivity, the New Central Bank of Ireland Headquarters is located on North Wall quay and was has been completed at the end of 2016. Using high performance, the design required long-lasting materials in order to create a highly sustainable and energy-efficient structure. The building connects simplicity and sophistication. The workplace is wrapped in a glass skin which delivers design yet practicality, as it is protected from solar heat gain by an outer aluminium layer. The stability of this construction represents the system of values of the Central Bank of Ireland itself.